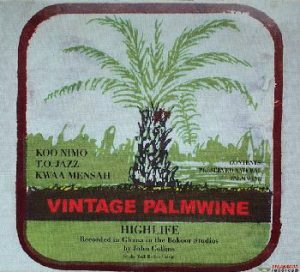 Vintage Palmwine documents three of the kings of unplugged Ghanaian palm-wine highlife and adds an important chapter to the history of one of Africa’s most beloved and influential music genres. It includes the scintillating guitar duos of Koo Nimo and the late Kofi Twumasi in the dagomba and mainline styles, as well as the soulful acoustic renderings of erstwhile electric highlife star T.O. Jazz and the old-time picking of Kwaa Mensah all of whom also deliver their philosophical and proverbial lyrics with a passion.